Jason Blalack is the owner of Open Gate Acupuncture, an integrated medicine clinic, which has been serving the community of Boulder for 16+ years. Jason’s passion is finding the root cause of our chronic suffering through integrating modern functional medicine research with ancient knowledge of acupuncture, Chinese philosophy, modern movements in consciousness, and transformational coaching. Jason embraces a truly holistic approach, addressing the physical, mental, emotional, and spiritual bodies to awaken transformation and to bring back vitality. Jason is a certified acupuncturist and is recognized as one of the most seasoned Boulder acupuncturist and herbalist, and extensively 5 star reviewed. Why Choose Open Gate’s Boulder Acupunture and Functional Medicine Clinic? Actual holistic approach addressing the mind, body, and spirit. Very experienced – 16+ years of full time clinical practice and extensive study in China. Understands the healing journey from personal experience with serious chronic disease in his 20s. Giving you the tools to ultimately manage your own health. What is Chinese Medicine, Acupuncture, and Herbs? Chinese Medicine, which includes both acupuncture and herbal medicine, has been an essential part of Asia’s health care system for more than 2000 years and treats a wide assortment of health issues and diseases. Acupuncture consists of gentle insertion of fine needles into the body at strategic points near the surface of the body which have shown to be effective in the treatment of many health problems. Jason has very energetic and painless acupuncture style. Chinese herbal medicine is the most advanced and sophisticated herbal system in the world and entails writing custom herbal formulas for each patient when practiced in an authentic and traditional way. Functional medicine is essentially modern alternative Western medicine. It uses the research model of Western medicine but can implement newer findings sometimes years before mainstream MDs adopt it. In addition, functional medicine uses botanicals, vitamins, minerals, and other supplements instead of pharmaceuticals. 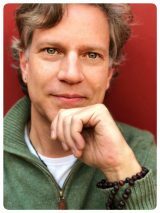 Jason Blalack is a licensed acupuncturist and has been treating patients in Boulder for over 16 years, is an international lecturer and author on Chinese medicine. Jason specializes in autoimmune, digestive disorders, fertility, and emotional disorders.